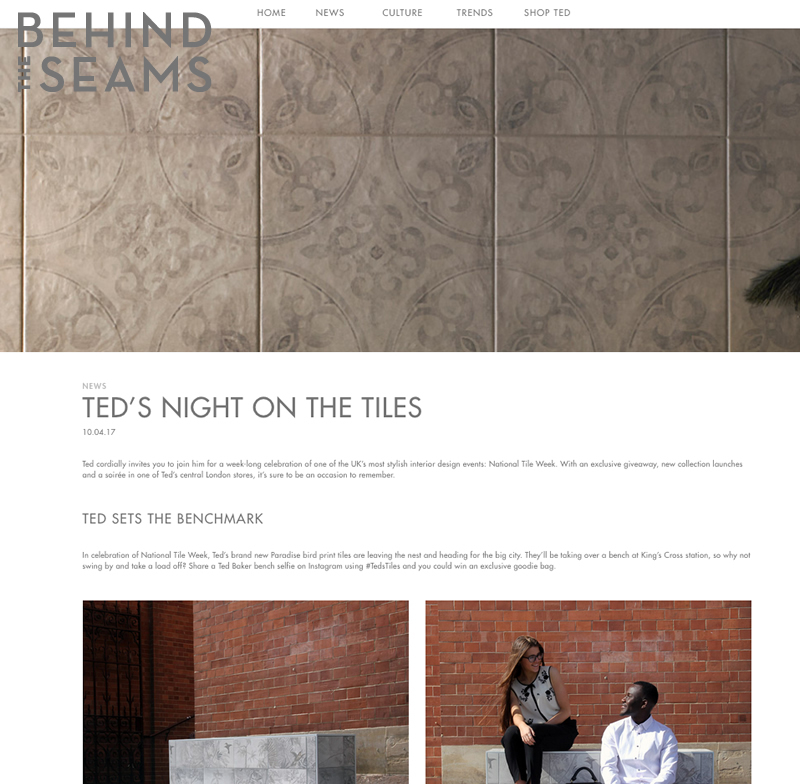 The ‘Ted’s Night On The Tiles’. 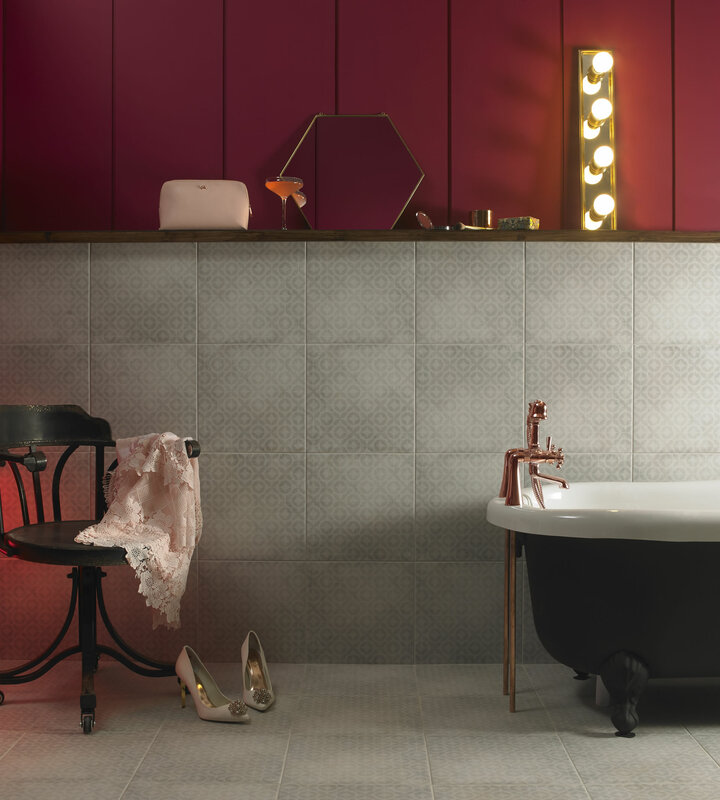 Cyan Studios were invited by British Ceramic Tile to produce a set of lifestyle images to showcase the new Ted Baker tile range. 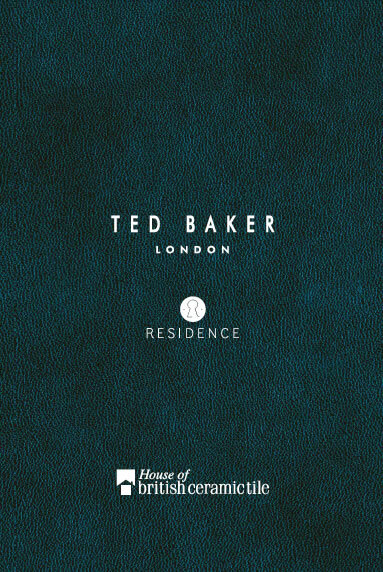 This range of ‘lifestyle’ images were designed to reflect the modern, stylish lifestyles of the Ted Baker faithful – who are loyal to this iconic UK brand. 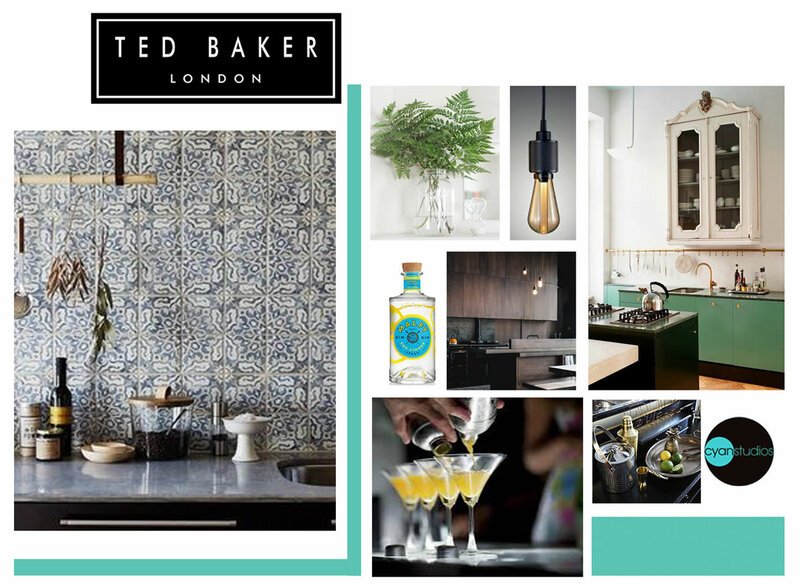 A demographic which as well as appreciative of contemporary British fashion and interior design, enjoy a lively social life, partying in their stylish homes. 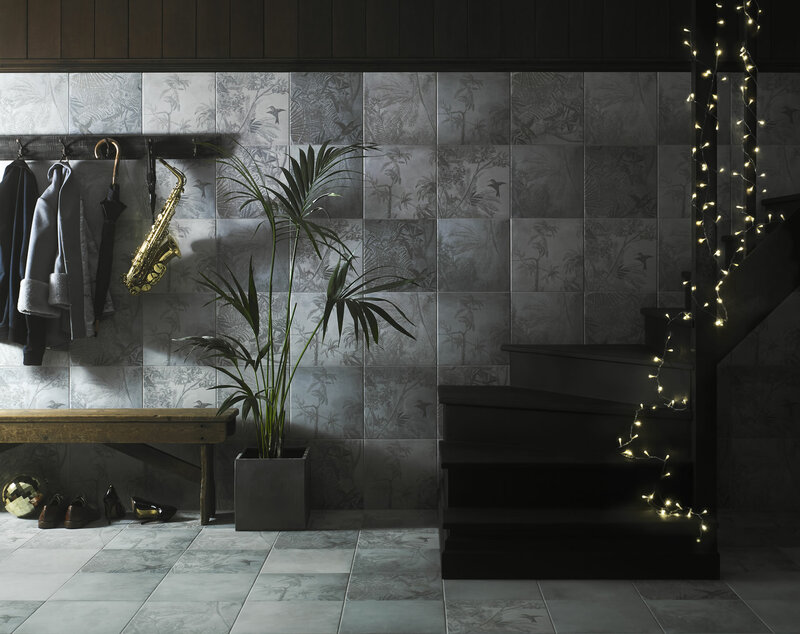 The images are designed to represent a stylish ‘Night On The Tiles’ and the stylish interiors that make a night in the best night out. 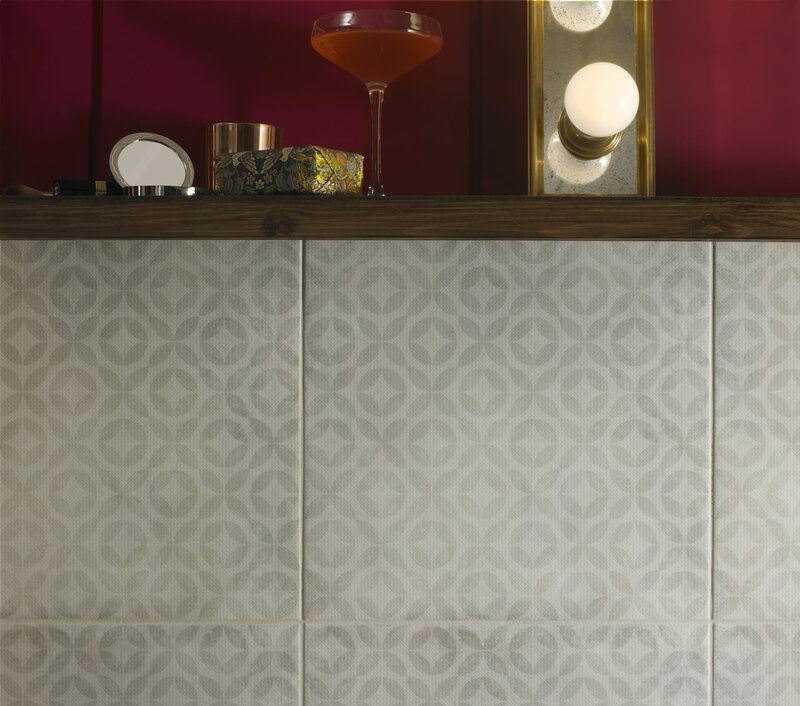 Contemporary and retro at the same time, the launch of the new tile range coincided with National Tile Week and a number of events hosted by Ted Baker. 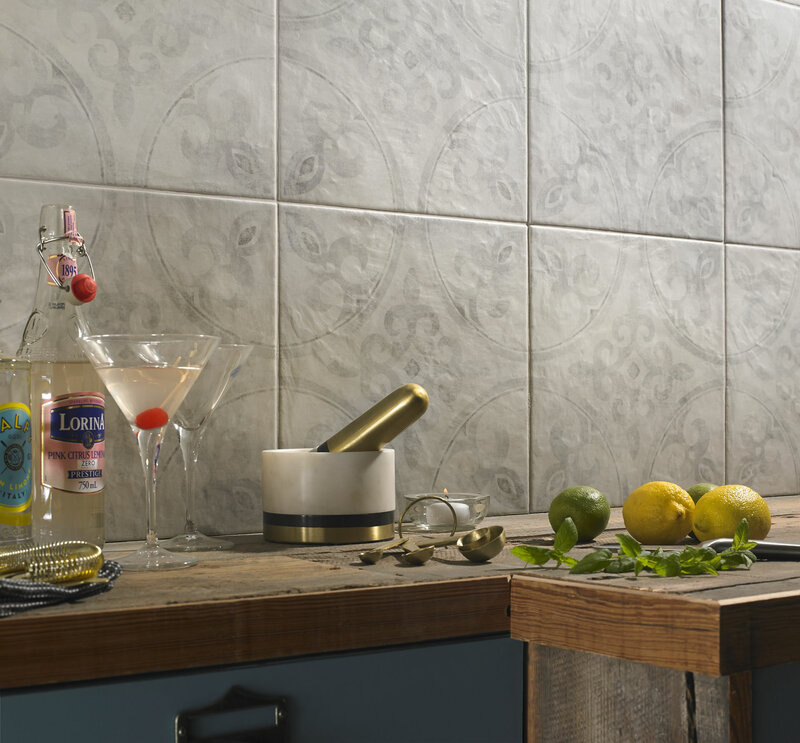 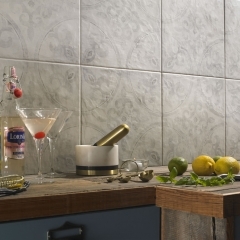 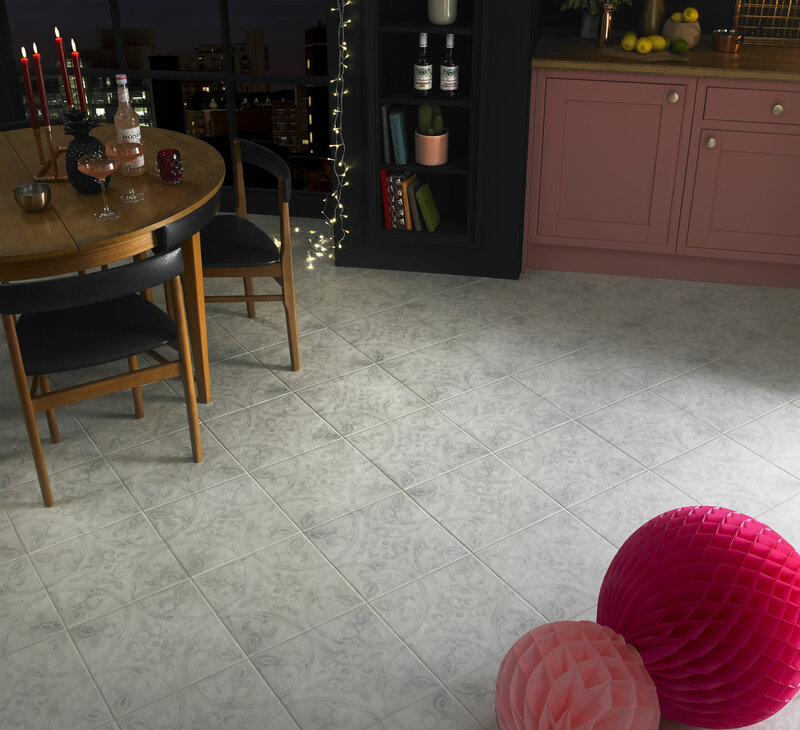 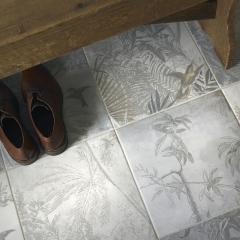 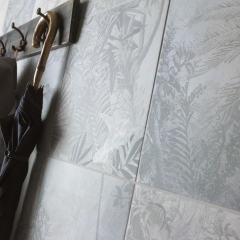 National Tile Week is a nationwide celebration of tiles, aiming to educate consumers on the quality and versatility of tiles and how they can be used throughout the home. 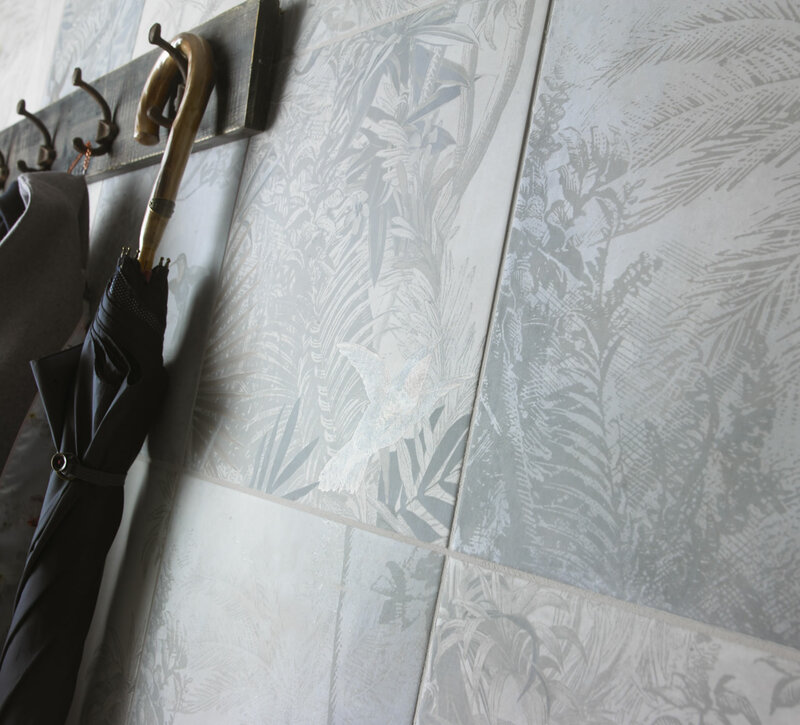 Ted created this new collection after a spell in Europe where he’d been wandering in search of inspiration. 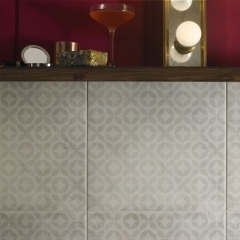 During his travels, Ted’s discerning eye happened upon a stylishly striking house made entirely of tiles. 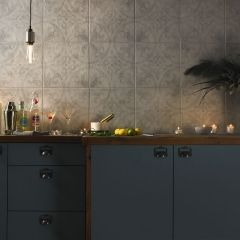 From floor to ceiling, every inch was adorned in the finest ceramics; even the furniture and oven were adorned in intricate mosaic. 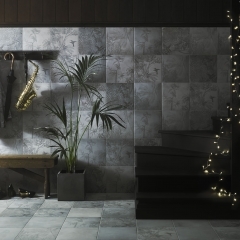 Ted worked with British ceramic Tile to craft an awe-inspiring range that combines their passion for quality and design with his own unique flair. 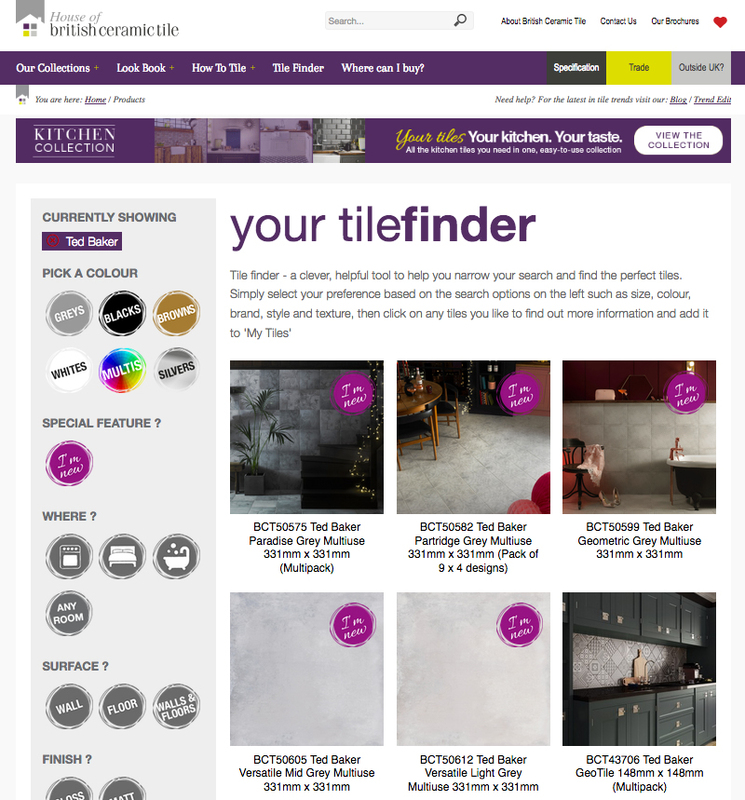 Our team are highly skilled and creative, comprising of project managers, designers, stylists, CGI designers and photographers. 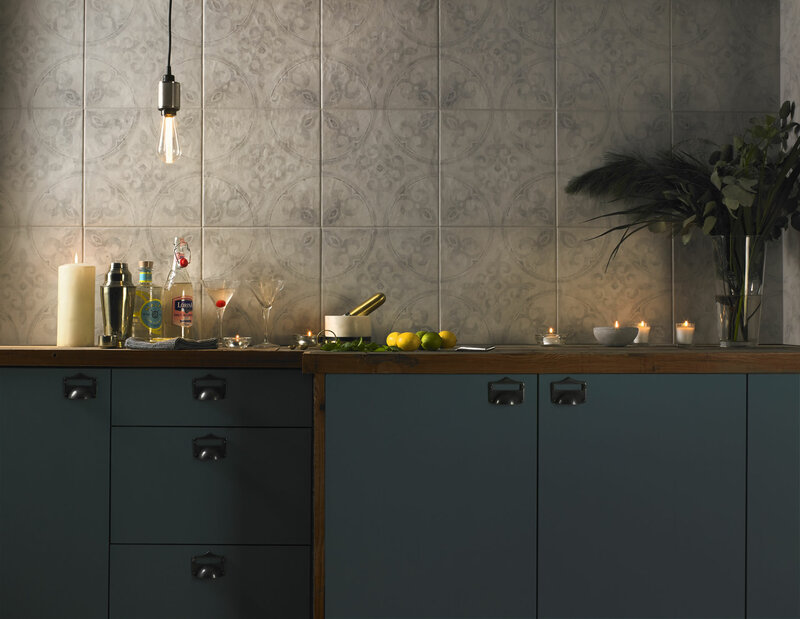 From the initial ideas through to the final image retouching, they all played a vital role in creating the resulting photographic images for this project. 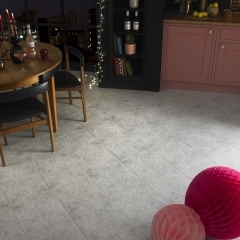 If you use photography or CGI to market your products then we’d love to have a chat!